In this annual end of year holiday season where the majority of people in our nation celebrate the miracle of the birth of Jesus Christ and all residents look to the New Year with hope for prosperity for themselves and their children, we are reminded of God’s mercy and compassion for all. For the adherents of three Abrahamic faiths, it is also a reminder of the centrality of the Holy Land to their lives. We look to this ancient land with awe and reverence as the place that God sent his prophets and messengers to spread the good news of his message to humanity. And at the heart of this land situated on a rocky plateau is the beloved city of Jerusalem. The three faiths all have undeniable historical claims to the city and the peace that we all pray for will only come when the rights of all people are fully respected. 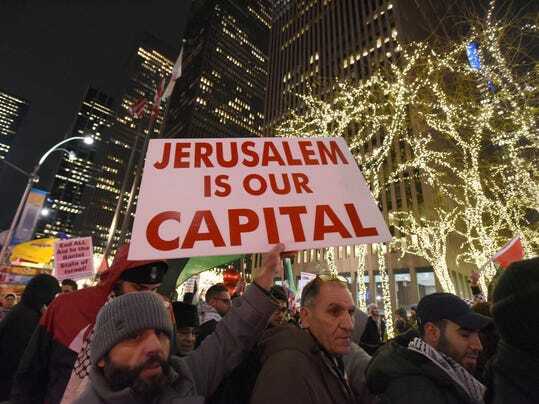 For Arabs of all faiths and Muslims throughout the world, the city is called “Al Quds,” which literally means “The Holy.” For Palestinian Muslims and Christians, it has been the center of their daily lives for two millennia. It has been their capital in every sense of the word – spiritual, cultural, social, familial, educational and financial. Palestinian Muslims have been praying continuously at the Noble Sanctuary – which includes the Al Aqsa Mosque and the Dome of the Rock (the golden domed mosque that sits at the center of occupied East Jerusalem) since 634 AD. Palestinian Christians – revered as the “living stones” of Christianity date literally to the time of Christ and to this day continue to run the most important churches in the faith – the Church of the Holy Sepulcher and the Church of the Nativity (in nearby Bethlehem). 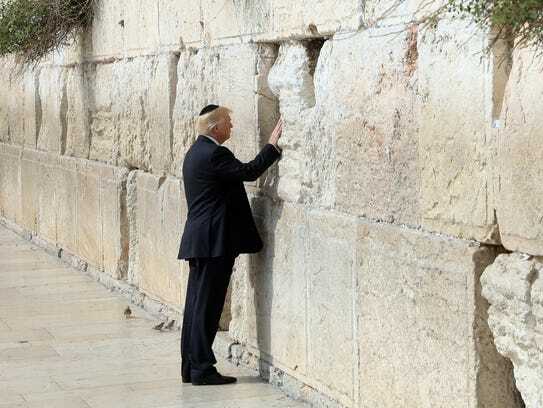 President Trump’s recent decision to recognize Jerusalem as the capital of Israel flies in the face of the history of the city and its people. It denigrates the rights and privileges of the Palestinian people to what they view as their capital and diminishes their undeniable historical claims to the land and its holy places. The president’s actions violate international law enshrined in numerous U.N. Security Council Resolutions. And despite threats from the president, the world has almost uniformly raised its voice in opposition to this unjust action. For Christians of course this “incubator” is where Jesus and his disciples began to spread their message to the world. For Muslims their love of this city emanates from the Prophet Muhammad’s own veneration of the land where God’s messengers resided. It is the place where Muslims believe the Prophet came on a miraculous night journey and met the preeminent prophets (including Adam, Jesus , John, Moses, and Abraham), ascended to heaven and lead the prayer amongst them. We pray that every good man and women who loves justice, who loves peace will join our call to help the people in the Holy Land to achieve the true peace that they all deserve. And that peace can only come when the decades long brutal Israeli military occupation ends. Whatever hope of achieving peace that came with the 1993 signing of the “Oslo Accords” has ended. This so-called peace process started in 1993 has proven to be nothing more than a deepening of the occupation. It has been all process and no peace. During this process, Israel has dramatically increased the number of illegal settlements, escalated the confiscation of Palestinian land and home demolitions, and created ever more restrictions on Palestinians’ human rights. It is high time to end this peace process illusion lead by the United States and move to a resolution that in based on international law and justice. The Palestinian people will never give up on their rightful demands to live in freedom and dignity in their own land. We encourage them to continue to resist the brutal military occupation through peaceful means. The non-violent resistance movements for equal rights over the past century in the American South, India and South Africa are the true models that the Palestinian people should follow. We again pray for a just and lasting peace for people of all faiths in the Holy Land and its beloved and exalted capital. Mohammed Qatanani is the imam, spiritual leader, of the Islamic Center of Passaic County in Paterson. He broke news to his congregation at services at the mosque Friday afternoon that he will be back in court Monday as federal authorities continue their bid to deport him.